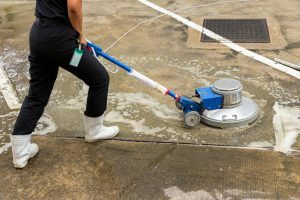 At Foxland Cleaning we provide concrete cleaning Alpharetta GA. Our service is one of the best in our area. We have the latest equipment and techniques with the help of which we done our job with 100% customer satisfaction. Techniques we use in our cleaning process includes pressure cleaning, soft Washing and many more that allows us to clean your properties quickly, efficiently and with no risk of harm to structures.